At first glance this quote might seem a little dark. Making you feel alone in this world and that you have to trek it all by yourself. But then again, if you re-read it… I hope you find it empowering. I hope it tells you that YOU can change your life. YOU can create your dreams… and the greatest point is that YOU HAVE THAT POWER IN YOU AT ALL TIMES IF YOU CHOOSE TO SEE IT. IF YOU CHOOSE TO BELIEVE IT. 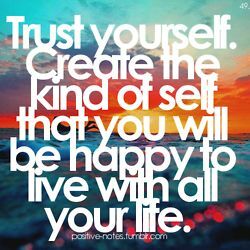 IF YOU CHOOSE TO TRUST LIFE AND YOURSELF. Sure, you may need to ask someone for help, we all need that sometimes. You may need to step out of your comfort zones TO HELP yourself and ask of it from others, and in that way we are not alone. But the point is, for the follow through of your dreams and goals, YOU are what you become. You alone make that decision. YOU are choosing help. YOU are choosing to help your self. You pick yourself up. You cheer yourself on. You educate yourself. You listen. You watch. YOU DO THE WORK. You should feel lucky to have YOU. You are lucky to have you. Sometimes you won’t get motivation from others and you have to find it in yourself. Sometimes you won’t get a pep-talk from others and you’ll have to give it to yourself. 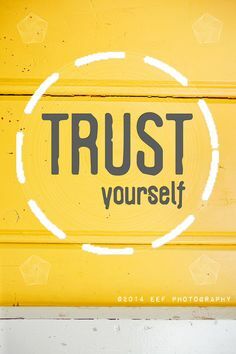 Sometimes you won’t know the answers but you’ll have to TRUST YOURSELF. MOST TIMES YOU ARE ALL YOU HAVE TO KEEP YOU MOVING. 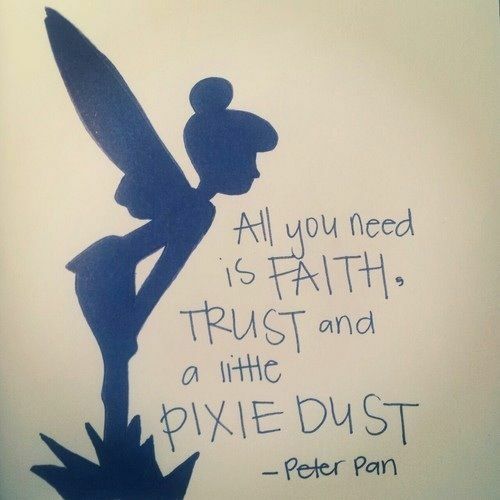 THAT AND FAITH. 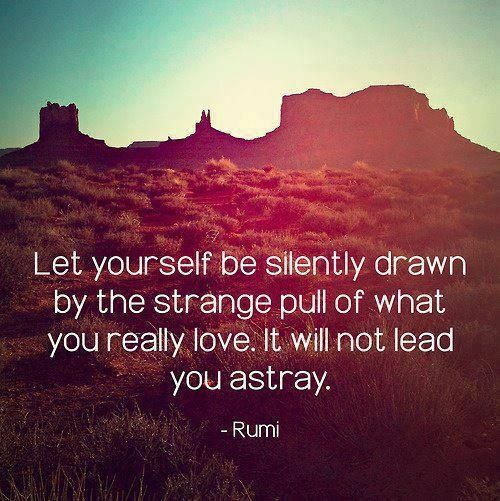 “And up the mountain-sides of dreams…” They are your dreams treasure and trust the journey that is you. 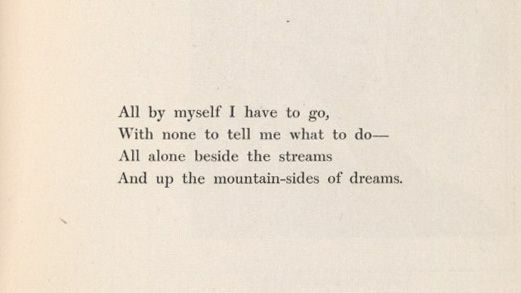 The mountains you will travel alone because it is in YOUR heart, “all by myself I have to go”… Go there. Go despite fear. Go despite nay-sayers. Go despite loneliness. Go despite what you “think” may or may not happen.” Go for yourself and find out. “With none to tell me what to do.” Don’t listen to me… Listen to yourself. Choose you.